out with the old; in with the new. | too weird to live, too rare to die. Anddddddd I'm back. Again a rather bittersweet feeling whenever I end a trip, the feeling of relief to be cozied up in my own comfortable bed and space, and the longing to stay just that bit longer on the other side. Ended the year of 2013 with a bang and now it's back to reality (BOOHOOHOO). Slightly dozing off at my desk here so I thought why not type up a post to keep them senses awake. I'm still very much exhausted from my trip and photo-editing is still in progress, so the sharing bits will have to wait. For now, reflections. 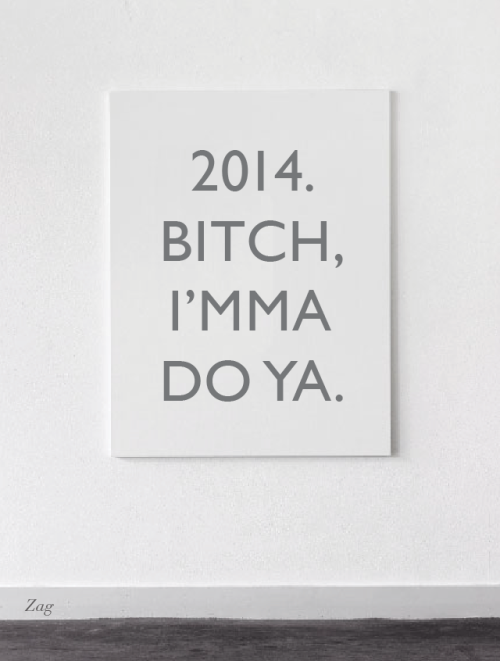 Let's not get all too dramatic on the case cause the year has been rather simple for me throughout. Looking back on 2013, it's been rather smooth sailing and therefore I can't help but feel blessed. Nothing is ever exciting on the work front, but I do feel lucky to be left to my own devices and yet still a supportive boss and team so that was pretty much all that mattered. The past years I've always promised myself to travel at least thrice a year (1 long haul, 2 short getaways), and for 2013 was no exception. In January, I traveled to Bali with a huge group of friends. Although sadly I've drifted off from them, I had my share of fun then. In June it was kind of an impromptu trip for one of the best friends and I to Bangkok. After years since my last trip there and with all the hype from fellow Singaporeans, I thought that a revisit was definitely in check. And since then, I'm already thinking of when the next one will be cause I can't wait to go back. And finally the grand trip for the year, Taiwan. A duration of 11 days, obviously it was the long trip to end off the year. Can't say much of my enthusiasm at first, but I was still warmed by the people (and my travel companions) and loved the weather. Every trip is always a learning experience, and this one was no exception of a worthy stamp on the passport. On the emotional side, I can't say that my spirits were always at my best. I like to think and I like to ponder, and many times I'm just an old worrywart. But I get over them soon enough and pick myself up again. The half past year has been quite an awesome one for me. I decided to ditch the whole 'get skinny' mentality and took on the 'keep fit' challenge. Since then, I've been following my Jillian Michaels routines on a timely manner. I haven't actually lost any weight, but my body definitely feels more toned up and I'm happy to keep up with that. My recent holiday has slowed me down since I stopped during the period, and I've been feeling so sluggish I can't wait to get back on track. On the beauty side, I realized that I started being more daring with my looks too. I've stuck on actually using the loud lipstick shades (orange, deep set pink) to work, and in November I decided to chop off my long locks. Impulsive decisions sometimes make a good decision. Speaking of which, just before my trip last month I made the final impulsive decision to get my new piercing once and for all. Having thought of it for over a year, I guess it was go or no go. Well, what the hell let's do it. Don't care about others cause I love it and that's all that matters. Glad I finally got that one out of the way, bucket list checked. And last but not least, in a moment of frustration and realization, I took it upon myself to book a trip to Korea this May, solo. With 99% of my friends attached, broke, uninterested, or doing boring stuff like saving for mortgage, etc... I was pretty sick of waiting for a travel mate. It dawned to me that I could try it out on my own, and well, I went for the idea and booked myself a plane ticket. Baby steps since I'm not all out to conquer the world, and Korea is pretty safe so I'm thinking it's a good start. Let's just hope that it turns out a successful trip anyway. And that pretty much sums up everything. Another year gone, can't believe that I'm hitting the big 3-0 soon. The age 26 is probably my last count for young age, no prize for guessing what I'll be stocking up most in Korea then. No resolutions this new year, instead I plan on sticking to those I've already planned and kept for the previous year. The bucket list, as always, is extensive. Cheers to the new year, let's get ready to roll. To a better year.